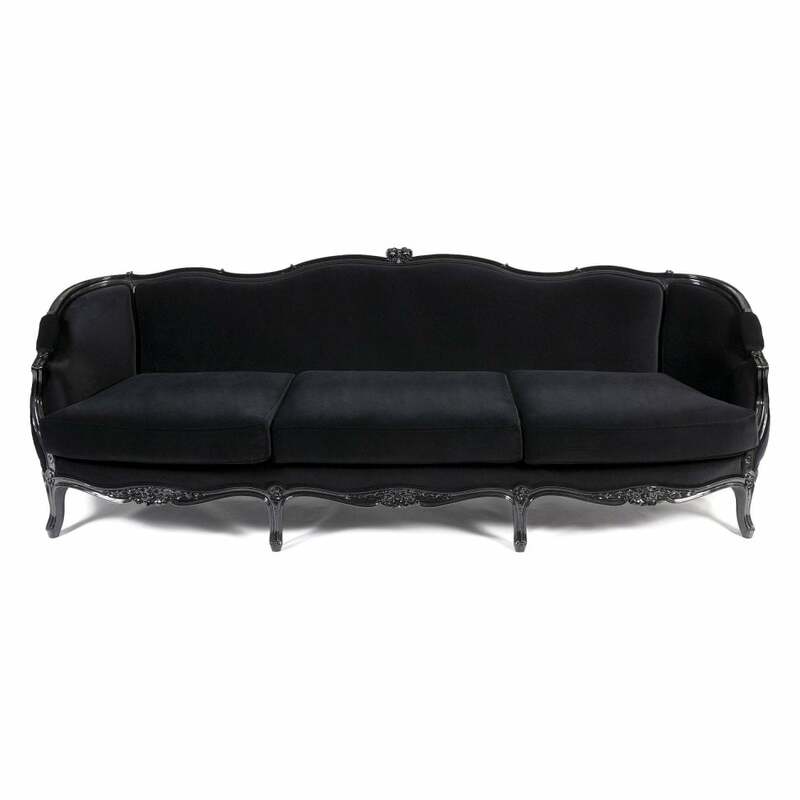 Inspired in the French Louis XV style, this sofa is hand carved in shallow relief with floral patterns. This piece will definitely transform every space into a palace. It has three upholstered deep cushions and hand carved legs.